In order to maintain your air conditioner then the following tips on the maintenance of the air conditioner coils will ensure that it runs smooth for a long period of time without breaking down. Cleaning the conditioner’s condenser coils allows it to run smoothly with less energy than when its coils have been clogged with dirt and other substances. At All Week Air Conditioning company, we offer these repair and maintenance services for air conditioning units so you don’t have to get your hands dirty. Not everyone is good at such handy work and sometimes it’s important to leave such tasks to the experts to avoid damaging the machine or worse hurting oneself. 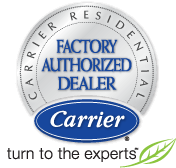 If you live in North New Jersey or its environs then you are in luck because you can access our top notch AC repair services. Sometimes if a person’s air conditioning is causing a lot of noise or keeps breaking down, it means that it’s time to have it looked at. In fact you don’t have to wait till it breaks down before giving us a call, we can do systematic maintenance and inspection to ensure every component of your air conditioner is working properly. We are a licensed and insured air conditioning company so all our operations are legitimate and within the law. The best time for the cleaning up of one’s air conditioning system is during the spring period because this is when you least need it. 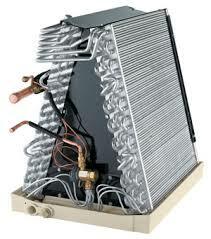 It also gives one enough time to repair and maintain the system in preparation for winter when it comes in handy. Before the cleaning, the power has to be disconnected to prevent electrocution of whoever is cleaning it. It normally does not take much time, a day is all we need to get your systems up and running. If you suspect that your air conditioner coils have been damaged, then you should give us a call at the earliest opportunity so that further damage is averted.